Toronto Premium Outlets is not accessible by public transit so this is the most affordable and convenient way to visit! On this 6.5-hour shopping trip, take a daily bus departing from Toronto's Union Station. Boasting more than 85 outlet stores, Toronto Premium Outlets offers discounts on purchases up to 65%, meaning you will get more for your money. 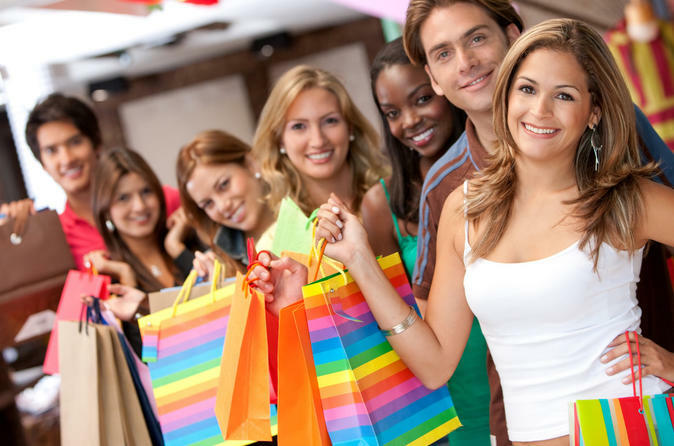 This daily bus trip to Toronto Premium Outlets in Halton Hills departs conveniently from Toronto's Union station at 10:30am and arrives back at Union Station at 5:15 pm. With over 85 outlet stores to choose from, you will find impressive savings from 25% to 65% every day. Enjoy savings at Banana Republic, Bench, Brooks Brothers, Burberry, Calvin Klein, Coach, Cole Haan, Columbia Sportswear, Hugo Boss, Hudson’s Bay Outlet, DKNY, Eddie Bauer, Gap Outlet, Garage, Guess, Icebreaker, J.Crew, Kate Spade New York, Lucky Brand Jeans, Michael Kors, Polo Ralph Lauren, Restoration Hardware, Ted Baker London, True Religion, Zumiez and many more.